We're professional car buyers focused in and around Chicago. If you are looking to sell a vehicle, we pay top dollar for all used cars, trucks, vans, and SUVs, no matter what their age or condition. We always provide absolutely free car removal service. Kelly Car Buyers never uses any of the hidden storage and towing fees that are all too common in our industry. We buy five year old luxury cars in great condition, and we buy junk cars that haven't run in years. 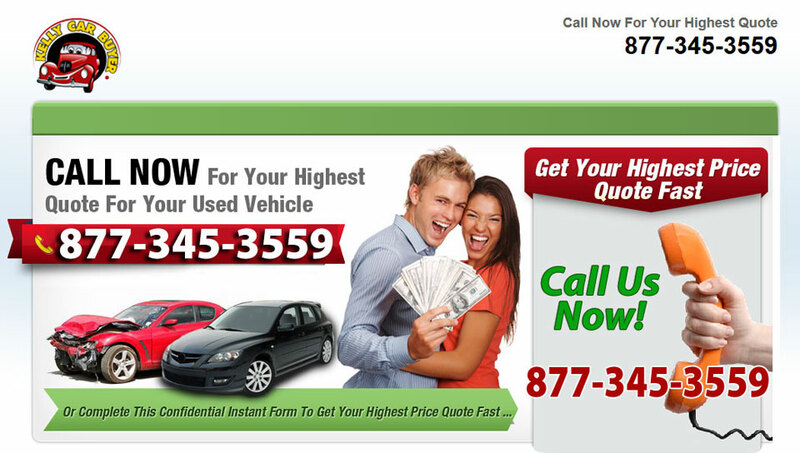 If you are looking to sell a used car anywhere neer Chicago, we'd appreciate the chance to make you a cash offer. Contact Us in whatever way is best for you. We only need about five minutes of your time to describe the car you're looking to sell. Once we have some basic information, we'll quickly be able to make you the best cash offer possible. We're a family owned and operated business that bought our first car in 1982. Back then, our two kids helped out by cleaning cars after school. These days, those kids have children with learners permits, and we buy hundreds of cars every week. While we've come a long way in the last 20 years, we still stick to the same three rules we've had since the beginning. Pay the most cash you can for used vehicles. Show up fast and tow them away for free. Provide good customer service, because that will always set us apart from other auto salvage and car dealers. We make it easy, fast, and profitable to sell your used car to us.